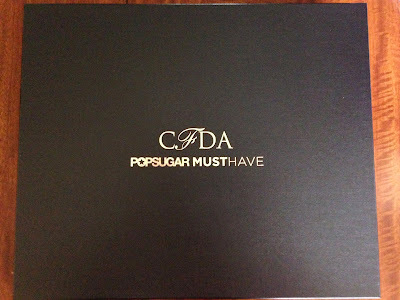 I was so excited when Popsugar Must Have announced they were collaborating with the Council of Fashion Designers of America (CFDA) to curate a box. I knew I would order immediately, whether a spoiler was released or not. And that's what I did. This box sold out in less than 2 hours and no spoiler was released. I had very high hopes of what would be included in this box. After all, the CFDA was involved, what could go wrong! I had dreams about the amazing fashion pieces that would be inside the box. And I was so excited to open it up today when it arrived at my door (I had not peeked at any spoilers)!!! I love how luxe the special edition boxes are! The black boxes are always such high quality. And this box was more rectangular, so I was curious what would be in it. Here is a first glance. And here is what I saw when I tore open the tissue paper. I love how the special edition items come wrapped individually in tissue paper. When I was unwrapping everything I set the information card aside, so it wouldn't ruin the surprise. But for review purposes, I'll show you what the front and back of the information card looks like. It explains everything in the box. Now I must note, most people that received this box were disappointed by the over valued prices on the information card. 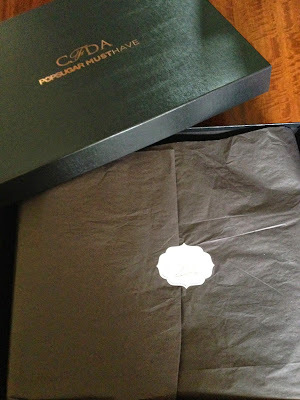 The contents of this box were also disappointing to many that were expecting a more fashion curated box, as I was. Though I liked everything included, I was expecting much different items in this box. 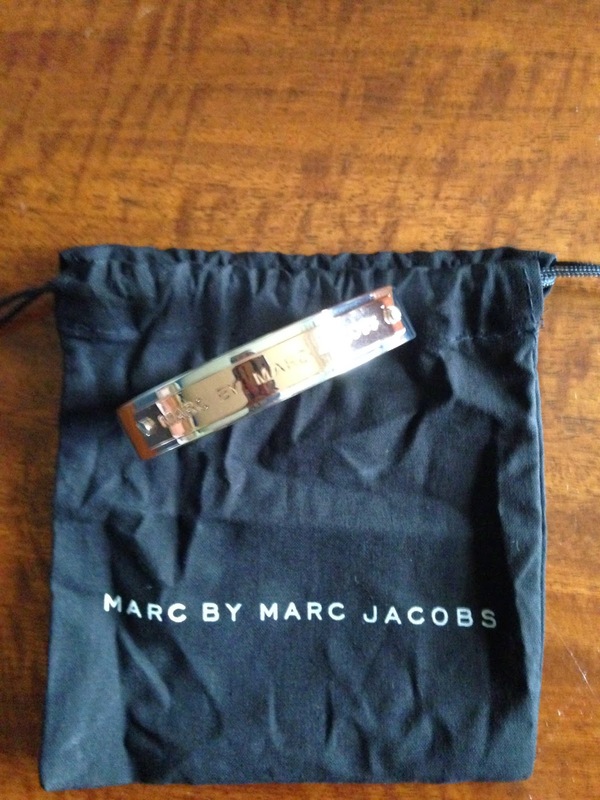 Every item did feel luxe, but I felt some value was missing, along with one standout "fashion" piece! 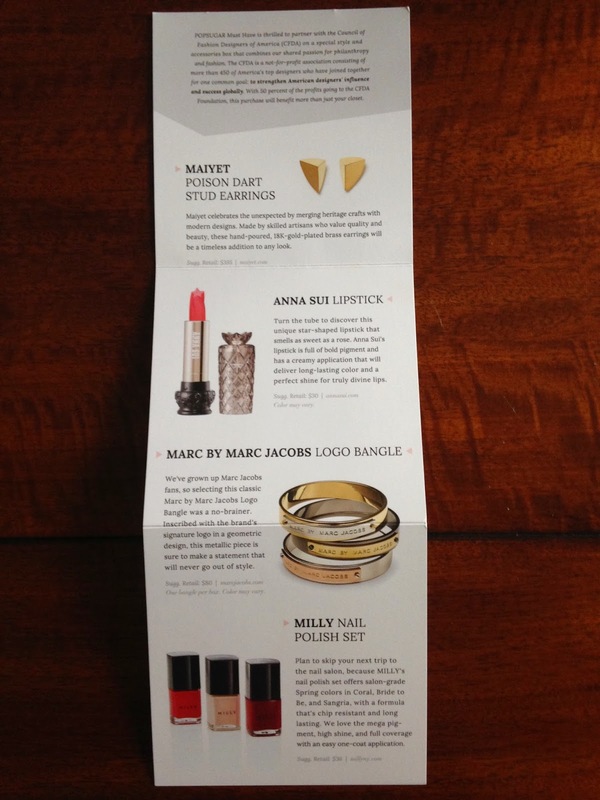 The most controversial and expensive item included in the CFDA curated box was the Poison Dart Stud Earrings by Maiyet. These had a retail value listed on the information card of $395, though a simple google search will retrieve many listings of these selling at $295. That's a whole $100 towards this box value that could have went for something else. Popsugar promised a $600 value for this box and it isn't with the real retail price of these earrings. I like them and will wear them! But what about all the women who bought this box and can't wear earrings or don't have pierced ears?!? This was the one high ticket item included, so I'd be mad if I couldn't use them. And they're 18K gold plated earrings! 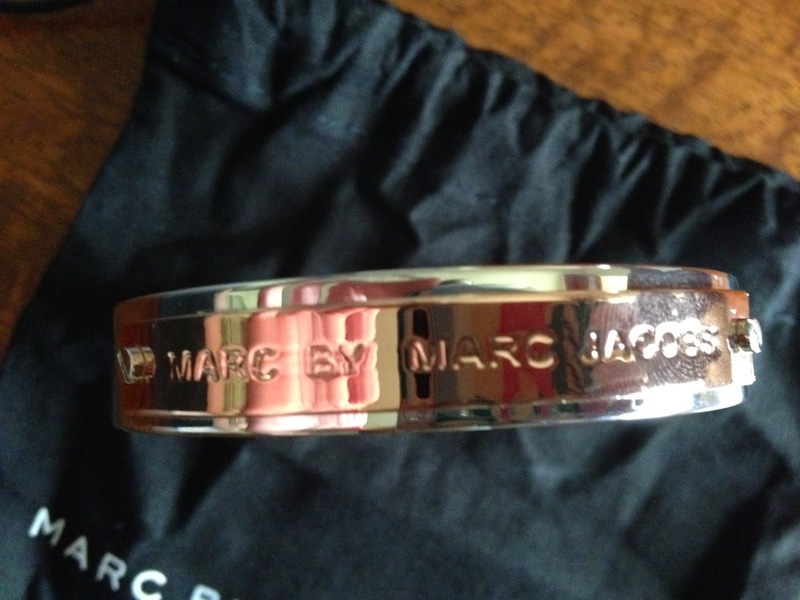 I would expect real gold for that price tag, ugh... I couldn't get a good picture of the actual earrings, but the information card shows what they would look like if someone were wearing them. 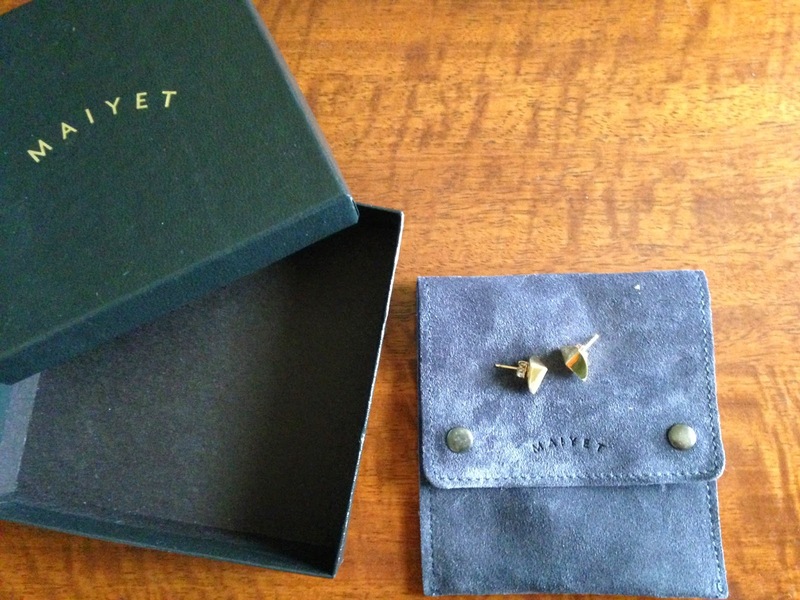 They did come in a nice suede pouch and box for gifting. The next item was Anna Sui Lipstick. 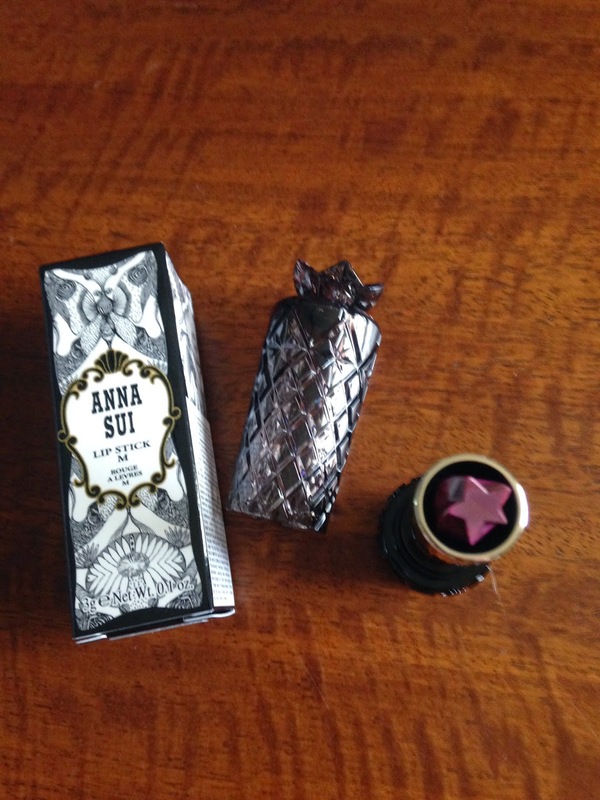 This lipstick has great packaging and the actual lipstick is in the shape of a star! I love it, but I'm not sure I'll be able to wear the color I received. 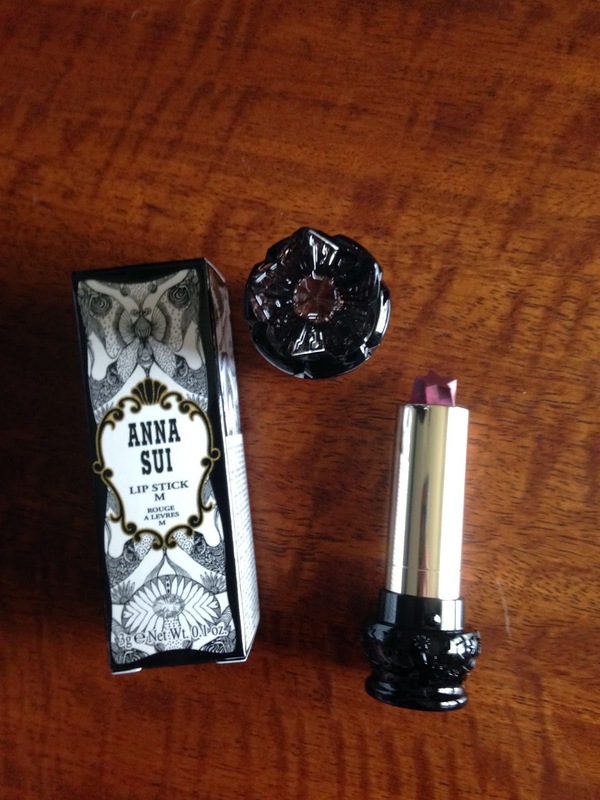 I received #371, which is a plum color swirled with pink. I'm not sure it will work with my very pale complexion. It is pretty though! I received a Marc by Marc Jacobs Logo Bangle in silver with a rose gold plate. I was very happy to receive the color combination I received as there were 3 variations given in the box. Rose gold is my favorite metal, so I was happy! The picture on the information card is much better than the ones I took. The next item was a Milly Nail Polish Set. It included 3 nail polishes in Coral, Bride to Be, and Sangria. I love the colors and will wear them, but this didn't really seem special or different enough to be included in this box. None of the colors were really fashion forward, so it felt kind of boring. It was packaged really nicely though. Included in the box was the book "The Woman I Wanted To Be" by Diane Von Furstenberg. I'll be honest, I'm not really the reading type. 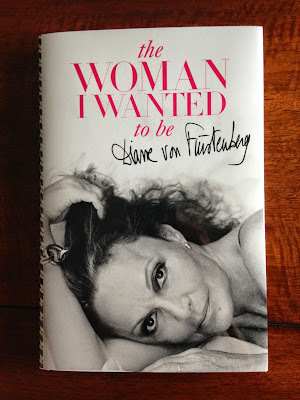 So, I would have been more interested with a fashion book, showing fashion through the years or pictures of american fashion designs or something of that nature...pictures...you get the point! But, that's just my opinion. I'm sure there are people that loved this book! 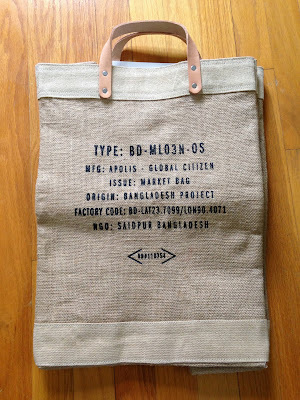 The final item included in the box was a Market Bag by Apolis + Clare V. Though, this stood out and I'd never seen anything like it, I wasn't sure how or if I would use it. 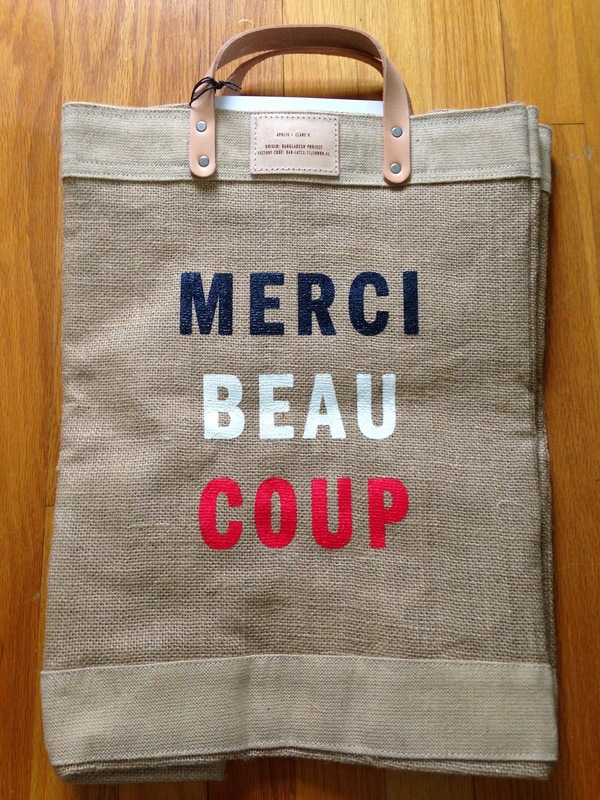 It's unique with leather handles and burlap structure with a waterproof interior. But I think it'd be annoying to take to a market, without straps that fit on my shoulder, that may just be me, but I like my hands free to shop. 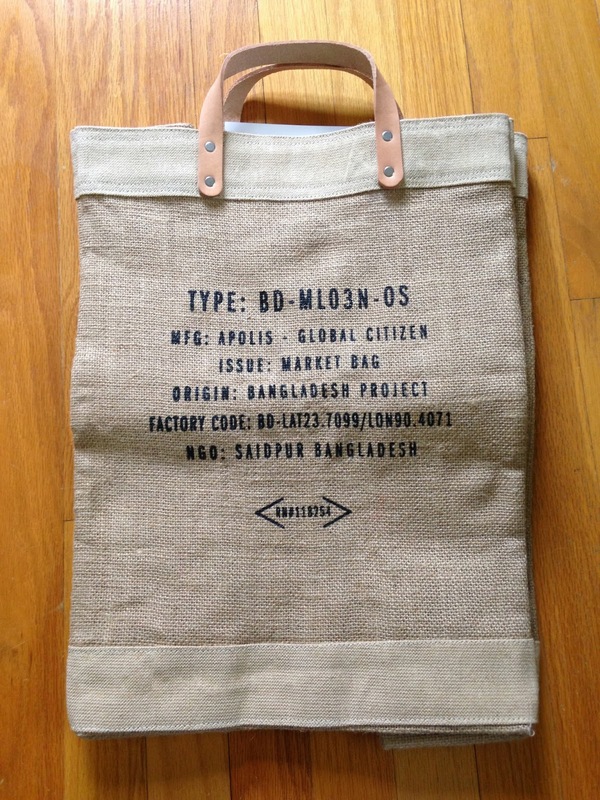 This would be difficult for me to fill and carry without longer straps, plus it's quite large, so it'd be heavy. I think I would have preferred a nice crossbody bag or something more fashion oriented. 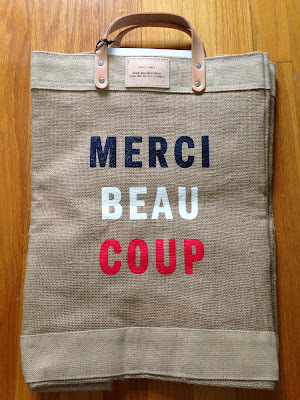 When I think about fashion, going to a market with a burlap bag is the last thing that comes to mind. Actually, market and fashion should never be in the same sentence. Don't truly fashionable people just hire someone to buy their groceries for them, seriously?!? And that was it. I was really hoping for a fun treat in this box, like champagne gummy bears or something! I guess I really was dreaming. 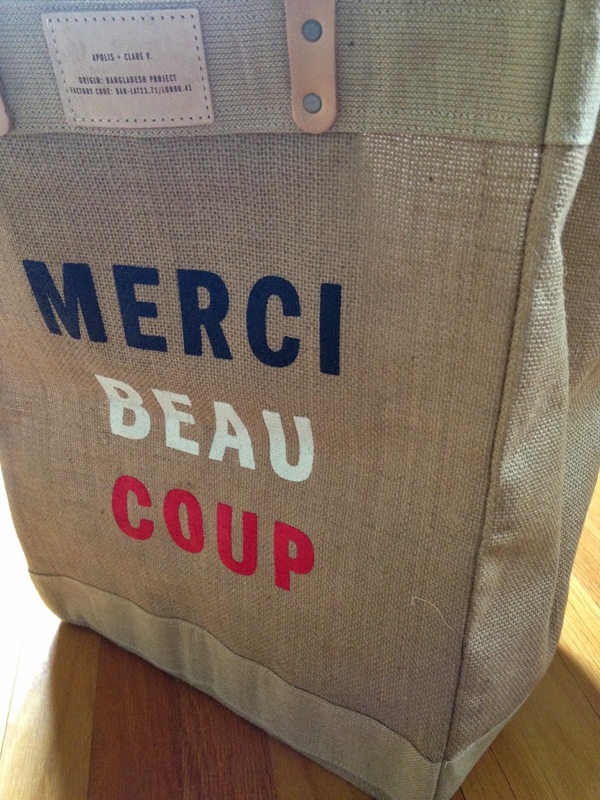 I don't hate anything in the box, and I will use the items, even the burlap market bag, if I can figure out how. But, this box did not elude fashion to me. It was not what I expected at all. I wanted a stand out clothing item to be honest. That's what comes to mind when I think fashion, when I think CFDA! I do understand that they wouldn't have pleased everyone and they can argue that they can't buy a one size fits all item. But, they have us fill out profiles (that include our sizes) so if they are never going to use them and do not want variation or customization, why even bother with profiles. 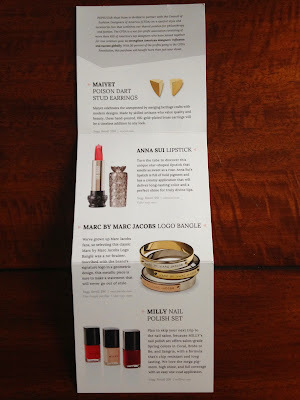 I wanted a standout piece, something only Popsugar subscribers would get that bought this box and I don't feel like this box offered anything like that. 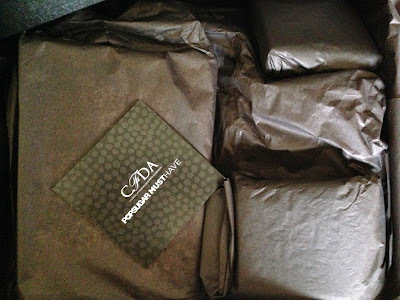 It didn't even feel like CFDA had any input in the contents of this box. It does not scream fashion to me and that's what I was hoping for! 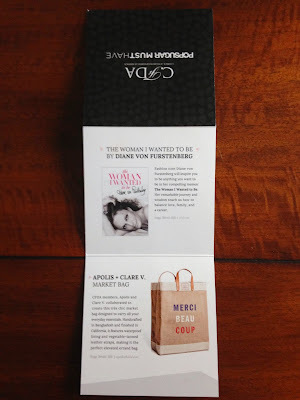 I feel the same way I did after the Popsugar Must Have Neiman Marcus box this past November. I should have took my $200+ (price after tax) and went and bought my own fashion oriented items, instead of relying on Popsugar to give me the fashion curated box of my dreams! 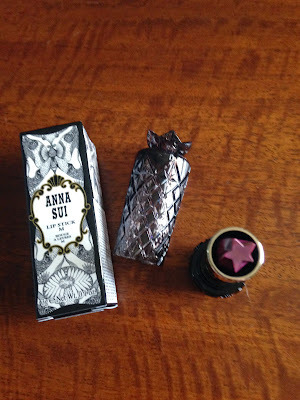 I'm done with the special edition boxes from Popsugar Must Have! I've learned my lesson of wasting money at least twice now.